Actuators convert energy into motion in order to manage or move mechanisms through the use of an electric current or other energy source. 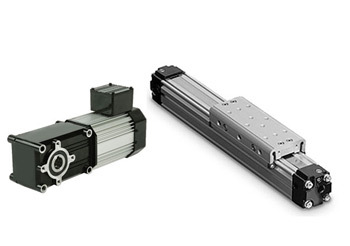 While electrical actuators provide mechanical torque for powering systems, mechanical ones transform rotary into linear motion for moving gears, pulleys, chains, and other devices. The result for both is high torque at lower shaft speeds or RPM. Gear motors specifically add a gear train to the output of any motor to increase torque and performance while reducing speed. While issues may arise from extra friction, inertia, or the sharp load changes of actuators’ short-lived operation, they provide long operational life by preventing overdrive. A variety of gear ratios, speeds, and torques are available to help optimize performance and minimize potential problems.